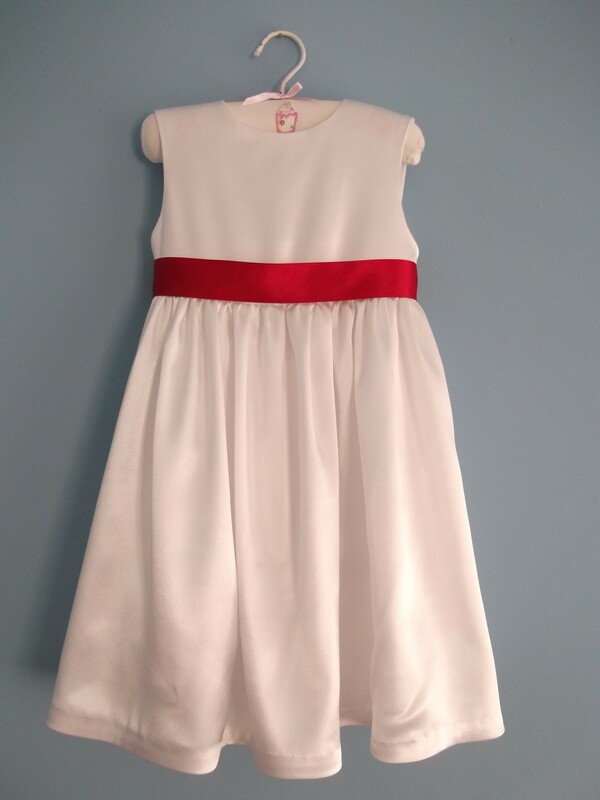 White satin flower girl dress! 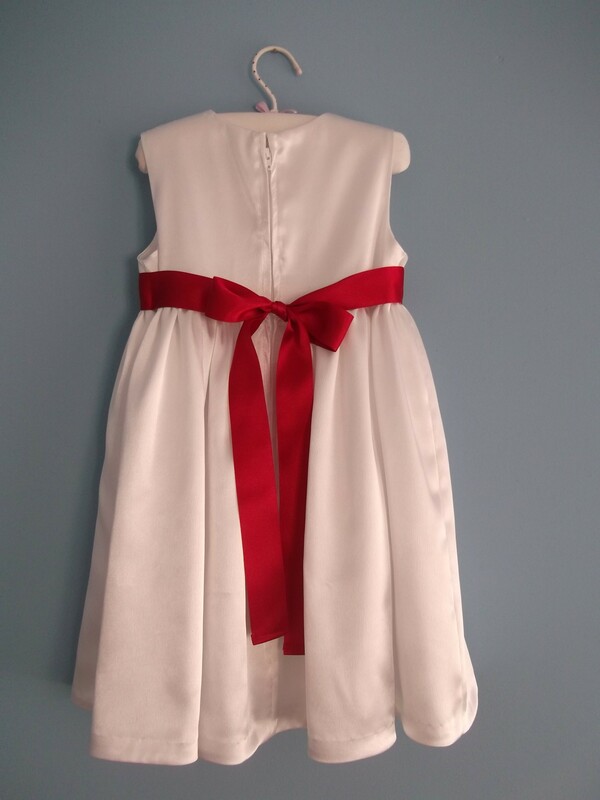 At the next social gathering, I presented to her the above beautiful white satin dress with red satin sash. Not only did she like it, but the mothers of two of the flower girls also liked it, and so it was decided that I would indeed make the dresses for her wedding. The dress – from underneath! 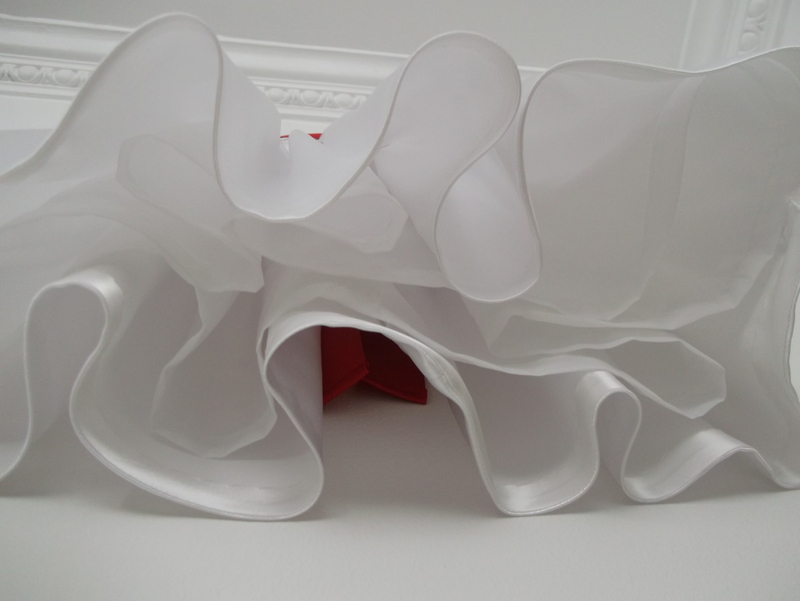 The dress is made with white crepe-backed satin and is fully lined with anti-static polyester lining. 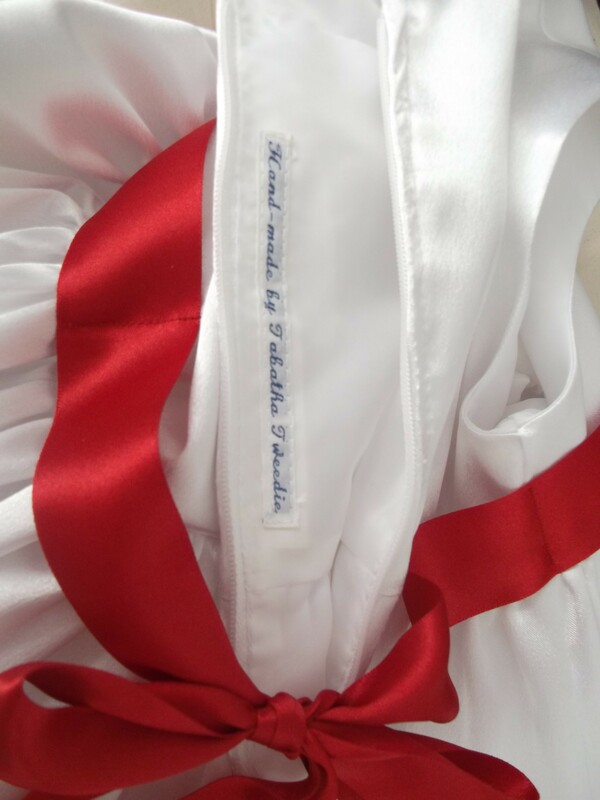 The sash is a wide red satin ribbon. 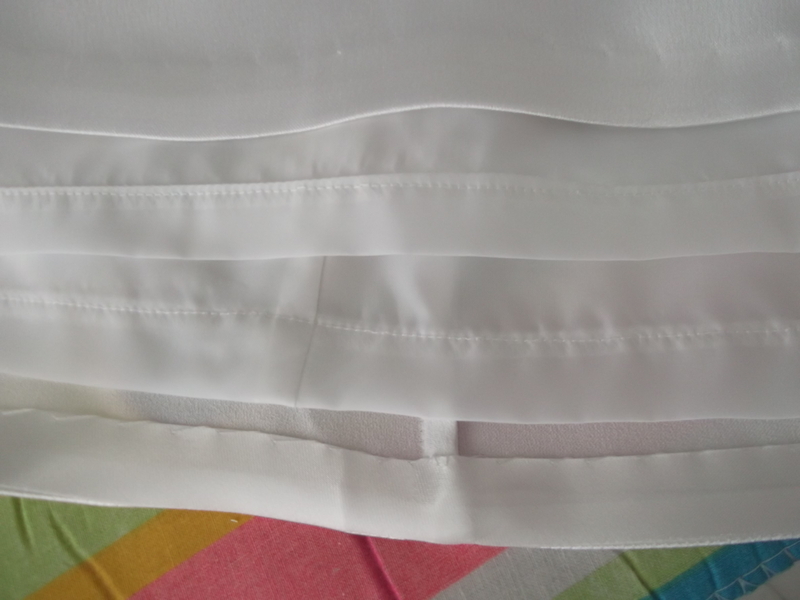 The hem is bias-bound and hand-stitched. I made a dust cover too to keep the dress clean and safe! The label – very important! 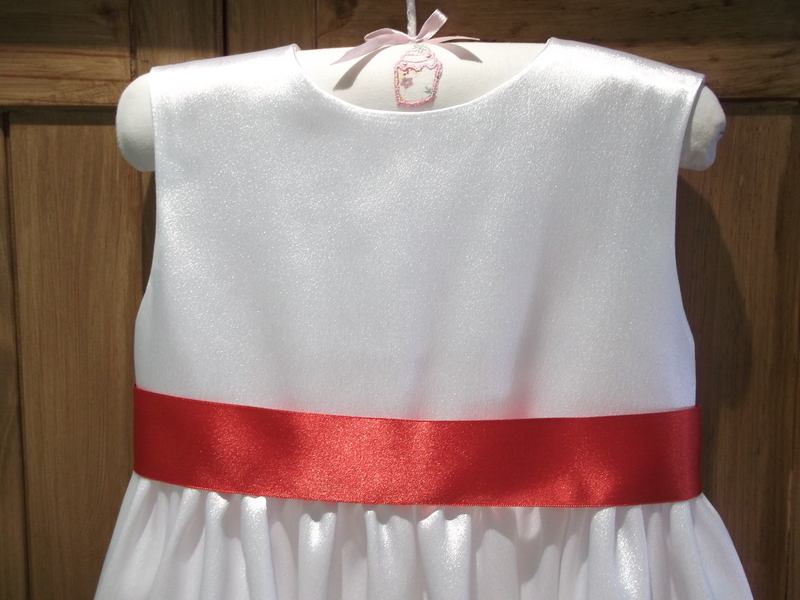 It had to be backed with extra white fabric to prevent it showing through to the right side of the dress! I haven’t started working on the dresses yet as the bride had not fully decided on her colour scheme, and she has recently got a new job and is moving to London, and is therefore putting her wedding on hold for the moment. Still, it’s very exciting to be contributing to someone’s special day, whenever it may be! ← We’ve jumped onto the Anna bandwagon! Heh! Usually the shimmery side is the right side and the dull, textured side is the wrong side. It doesn’t technically *need* lining, but I think it’s nice to have a little bit of extra flounce! I have never sewn velvet before, so no tips there. The good thing about sewing little girl’s clothing is that it is easier because there aren’t (usually) any darts and everything is on a smaller scale. Good luck though – hope it all goes well! Thank you. The dress is a really simple design but I think the fabric really makes it special. The girls will look amazing in these dresses, so cute! And I am amazed that you even made a cover for it, so thoughtful.And I didn’t know that you can buy anti-static lining, thanks for the tip! Thanks. I felt obliged to make a cover – I needed to keep the dress in pristine condition! Really lovely dress – it looks so professional! Glad to see that your talents have been recognised. A quick word on the sewing of velvet – all I know is to get the nap going the same way. 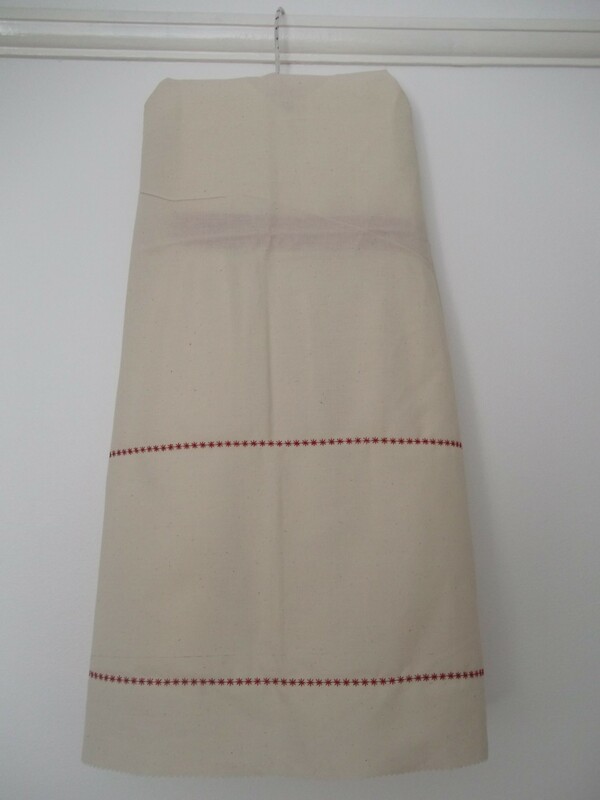 Many moons ago in my youth, I made a lovely needlecord dress and felt very smug with my efforts until I saw that the nap went a different way on the front than the back. Doh! I think the same goes for velvet. Maybe this was why I took up quilting instead of dressmaking! I started with New Look 6309, but modified it.